TuneRS Boxsters are fully converted for use in the BSR / SPB “Boxster Spec Racing Series”. This emerging race series has been adopted by the PCA (PORSCHE Club of America) & the POC (PORSCHE Owners Club), the SCCA, NASA, & HSR. All of our Spec Boxster’s are custom built in-house at our Coral Springs, Florida facility. Every Spec Boxster we put together follow class rules and achieve maximum potential. 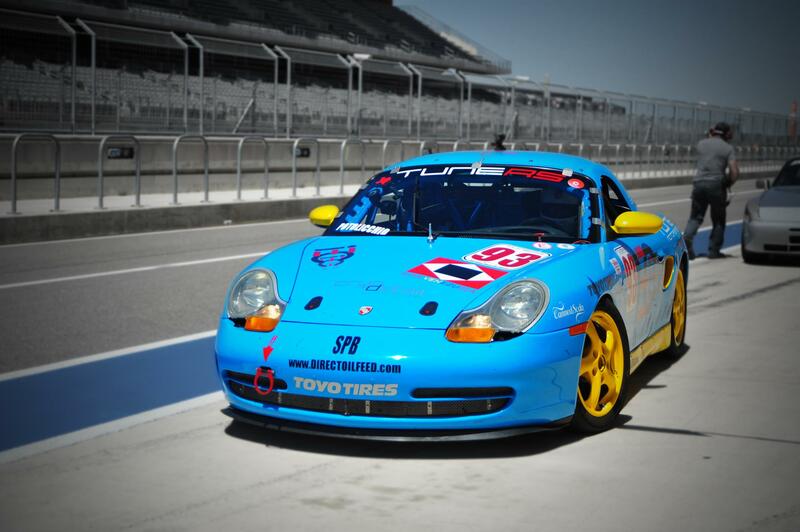 Our Spec Boxster program was an immediate success as one of our first cars received three podiums in it’s debut weekend at the track in early 2013. These Spec Boxsters are incredibly competitive in their class where restrictions on many modifications are in place. All of our Boxsters are carefully selected based on its previous history to determine whether the car is worthy of a being converted into a Spec Boxster. Every Spec Boxster receives our trademarked CryoDetail service to remove all cosmoline, road grime, debris, dirt, whatever sticks to the undercarriage causing unnecessary weight as and provides are clean working area for the build. Not only does all of this debris build up create this excess weight, we have tested this service on our #93 SPB and a street driven 98 Boxster at Sebring and noted 10-15 degree cooler overall running temperature. Additionally, each race car is meticulously detailed during every aspect of the build. Any part that may have excessive wear is replaced with new Porsche components or precision made engineered parts by us. Reliability is a key factor when building a new race car and our cars are built to withstand hours of endurance racing which creates fatigue and extreme wear on components. Remember, the first race you win is the one you finish. Therefore, providing you the experience of owning a freshly built race car that is ready to meet you at the track for your immediate racing pleasure!